Nearly a decade ago, China unveiled a blueprint for healthcare that will deliver a much-needed reform to fix the ailing medical system and to ensure fair and affordable health services. The core principle of the reform is to provide basic healthcare as a "public service" to the people, which require much more government funding and supervision. Historically speaking, Traditional Chinese Medicine or TCM has always been the basis for healthcare in this oriental country and it was only in the 29th century when Western-inspired treatments made its way to China. In 1949, the Communist Party took over and a so called patriotic health campaign began with the aim to address the basic hygiene and healthcare needs of the people. Come 1978, economic reforms were made and there has been a significant difference between the standard of healthcare services between the major cities and rural areas. A majority of the healthcare sector became privatised, several leading state-owned companies shut down and employees were forced to pay for their medical service out of the pocket. Today, China has estimated total inhabitants of 1.3 billion and the truth is, delivering quality and free public healthcare services to this massive population can be considered as a Herculean act. Currently, China has three levels of BMI or Basic Medical Insurance namely Urban Employee Basic Medical Insurance Scheme (UEBMI), Urban Resident Basic Medical Insurance Scheme (URBMI), and New Rural Cooperative Medical System (NRCMS). NCRMS is under the supervision of the National Health and Family Planning Commission (NHFPC) and mainly affects those working in rural areas or the country side while the other two BMIs are administered by the Ministry of Human Resource and Social Security (MOHRSS). In January 2016, the Chinese government announced that it will combine NRCMS and URBMI to improve the quality of medical service urban and rural residents. Bear in mind that China's national healthcare system follows a co-payment scheme between employers and the government but many expats may be more comfortable taking out private health insurance. Healthcare experts from around the world stated that China’s current healthcare system is still premature and inconsistent. The availability and quality of medical services greatly vary in rural and urban areas. Expats are strongly advised to secure a private insurance policy and life insurance policy before moving to China. Usually, employers provide a health insurance package. If this is not the case, it is recommended to purchase one yourself. It is advisable to get an international plan in a hard currency like the USD, the GBP or the Euro, with an overall annual lifetime limit as a minimum. The cover should include 80% to 100% refunds for all in-patient and medical bill. Due to the language barrier, a hospital in China may refuse to take in foreign patients. However, there are certain expat-frequented facilities where doctors and other members of the health team speak English. 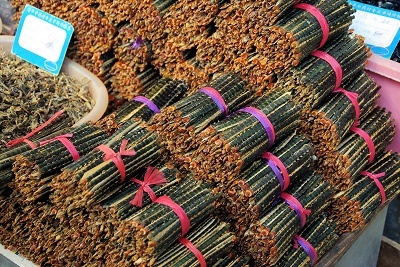 The Chinese culture is also known for its myriad of herbal or traditional medicines and techniques which some Chinese doctors may even promote. In the end, it is still the patient's discretion whether or not to buy and use traditional medicine. A doctor is easy to find in the many clinics and hospitals across the country. One can just look in the yellow pages, both online and offline, and addresses of hospitals and clinics can easily be found. All doctors in China are members of the Chinese Medical Doctors' Association which one may contact to find referrals. The local population is heavily reliant on public transport; hence, most health facilities are located in each city's main areas, although some may also be found in the suburbs. The level and quality of medical care in China depends on your location. In far-flung areas, you will find yourself miles from the nearest hospital. The big cities, however, do offer many first-class facilities, and you can opt to go to a local Chinese hospital. Although you may not find anyone speaking English in these local hospitals, you'll find yourself paying a low bill at the end of your treatment.